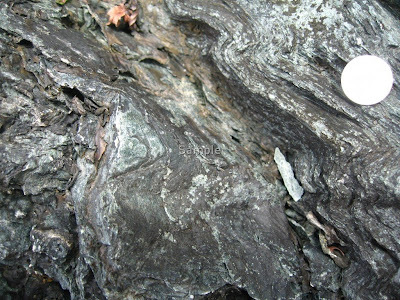 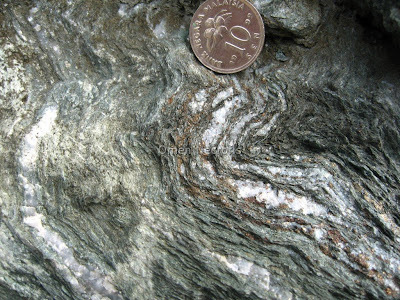 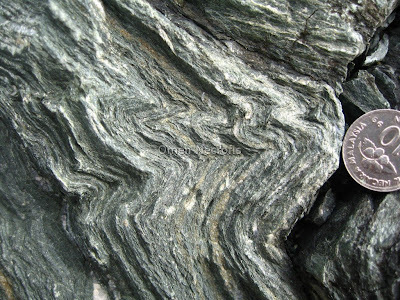 Kink bands in the highly foliated amphibole schist. 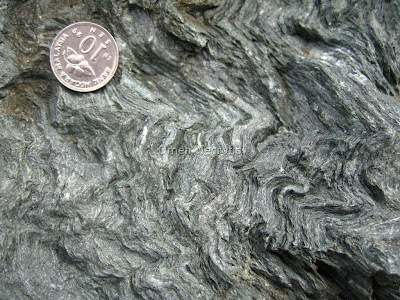 Structures like this indicate that these rocks experience more than two episodes of deformation. 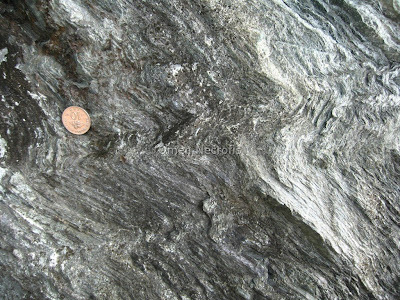 Note squashed clasts of Quartz (light color) present along the foliation plane.